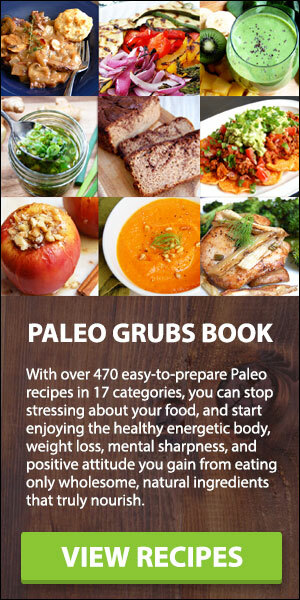 Coconut products are a staple in the paleo diet, and coconut flour is no exception. It also happens to make fabulous high-protein, grain-free pancakes, but it does take some finesse and knowledge of how to work with coconut flour. 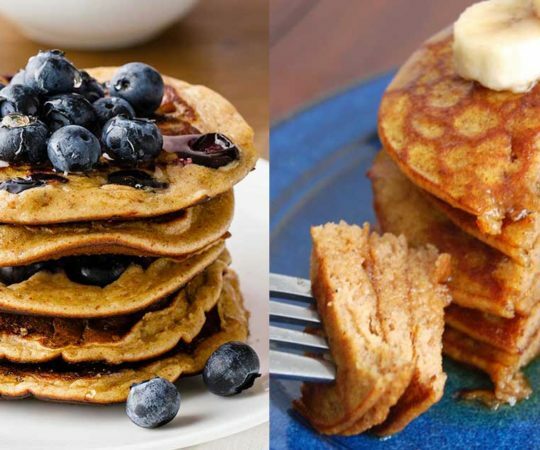 These paleo coconut flour pancake recipes will walk you right through the process, with awesome flavors like pina colada, berry, pumpkin, and more. Make sure you’re stocked with other pancake basics like eggs, non-dairy milk, baking soda, and sea salt. 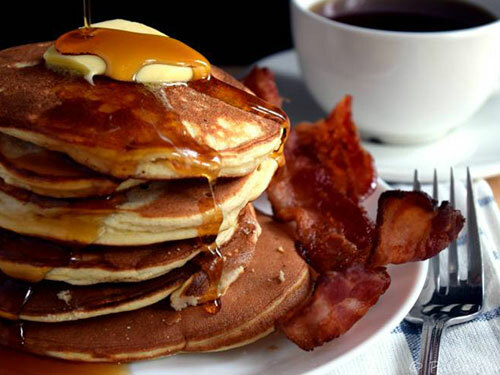 Of course, you’ll need maple syrup, too! Coconut flour is the perfect base for these amazing tropical pancakes topped with a creamy coconut syrup. Can you say delicious?! 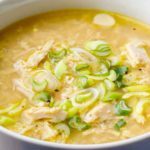 You’ll need coconut milk, maple syrup, coconut flour, nut butter, eggs, chopped pineapple, coconut water, and toasted coconut flakes. I love the simple vanilla-honey flavor of these pancakes, which are made with egg whites and eggs, coconut milk, cinnamon, lemon juice, coconut flour, and coconut oil for cooking them. They have a rich flavor and a texture that’s dense but also fluffy. With bananas as the main ingredient and coconut flour as a stabilizing flour, these pancakes are both fluffy and moist, with lots of protein from the coconut flour and eggs. Add a pinch of sea salt, fry in coconut oil, and serve topped with maple syrup. You could also try adding a touch of cinnamon! Coconut flour can be tricky to work with, and you can’t just replace all-purpose flour with coconut. 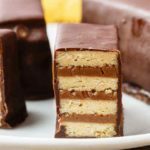 This recipe gets the proportions just right! 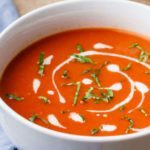 You’ll want to replace the brown sugar with coconut sugar and use a milk of your choice (why not coconut milk?). 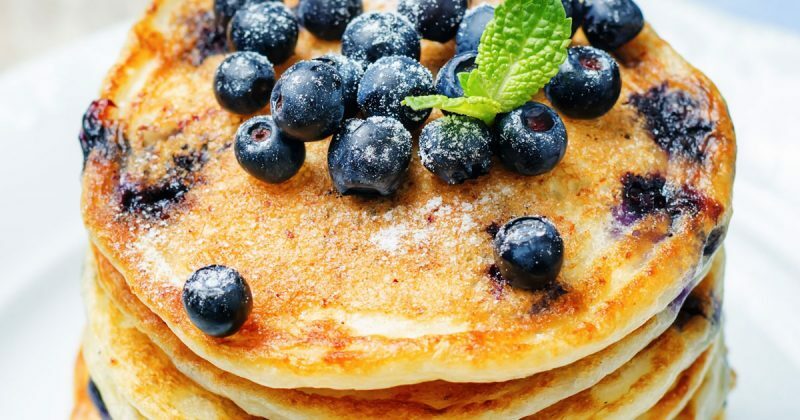 Use a blend of almond flour, coconut flour, and tapioca flour in this recipe to make the perfect pancake texture, but with plenty of healthy protein. Coconut sugar, maple syrup, vanilla, almond milk, and fresh blueberries flavor the inside, while the finished stack is topped with an amazing blueberry maple compote. If you’re the only one eating pancakes today, just make a small batch and enjoy them while they’re hot! This recipe uses ripe banana, eggs, maple syrup, vanilla, coconut flour, and baking powder. It’s a small batch that’s perfect for a single serving of three pancakes. The only downside to pancakes is that the cook has to stand there flipping them while everyone else eats them hot. 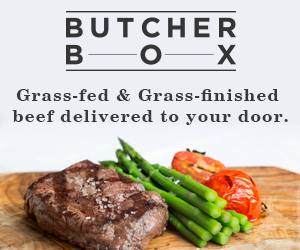 By the time you get to eat, they’re cold and the family is done. Not this time! 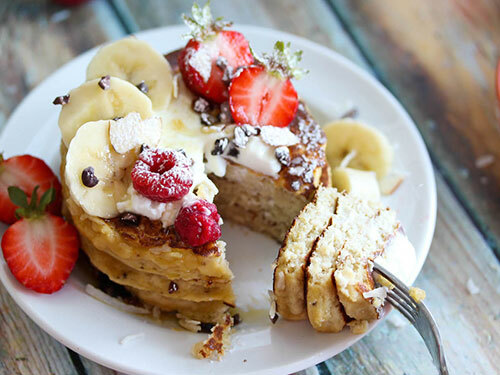 Try this skillet pancake with coconut flour, cinnamon, ripe banana, vanilla, and fresh berries. I’m in love with the naturally sweet, appley flavor the applesauce lends to these coconut flour pancakes, which also feature cinnamon, vanilla, and melted butter. My favorite option is the add-ins, including bananas, blueberries, or chocolate chips. This amazing recipe for tiramisu pancakes is made with coconut flour, coconut cream, and cocoa and espresso powders, and it even includes substitutions to make sure it stays paleo. The flavor is wonderful, and they’re high protein to make a perfect breakfast. Because the only sweeteners in these coconut flour pancakes are mashed banana and a little maple syrup, you don’t have to feel guilty about eating chocolate for breakfast. 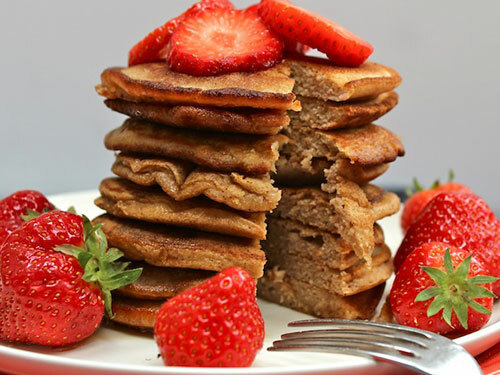 These pancakes are healthy and high in protein from the coconut flour and almond butter. Speaking of chocolate, you can go all out with these German chocolate coconut flour pancakes, using cocoa powder, coconut milk, coconut oil, maple syrup, and a coconut pecan topping made with coconut sugar, coconut milk, butter or coconut oil, eggs, nuts, and coconut flakes. Using tapioca or arrowroot in combination with your coconut flour helps the pancakes to be not just fluffy, but cohesive and not too crumby. 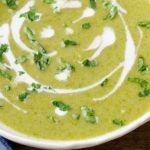 I love this recipe with honey, eggs, coconut oil, and coconut milk or almond milk—your choice. These grain-free pancakes are made with coconut flour, almond milk, melted butter (if you go the oil route, use coconut oil), eggs, maple syrup, and pure vanilla extract. These are so good with just butter and maple on top, but I’d also go for some fresh fruit. 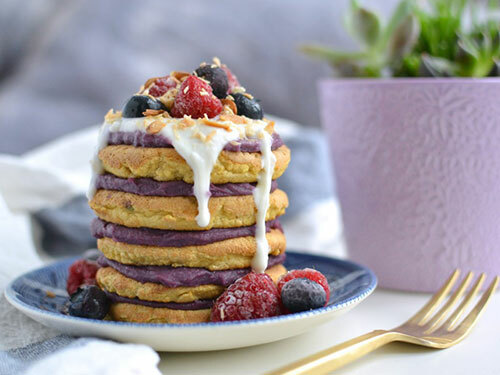 This gorgeous stack alternates homemade coconut flour pancakes (see the blog post for the recipe link) with a pretty purple sweet potato spread made with pureed purple sweet potatoes, almond butter, coconut milk, coconut nectar, and powdered stevia. Perfect for fall, these pumpkin pancakes are loaded with flavors like pumpkin puree, almond butter, coconut oil, ripe bananas, almond extract, sea salt, pumpkin pie spice, cinnamon, nutmeg, and ginger. Top them with maple syrup and shredded coconut! 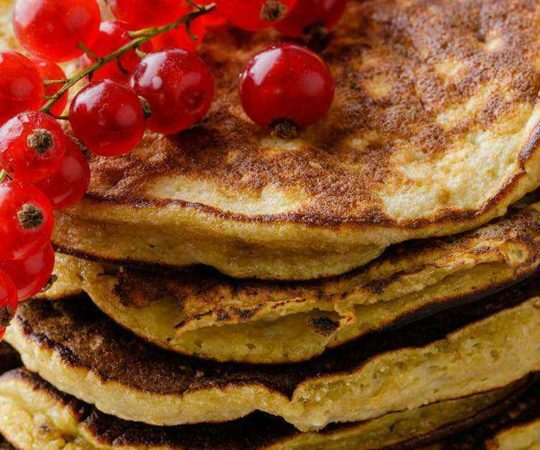 Banana pancakes are always a popular flavor, especially with kids. 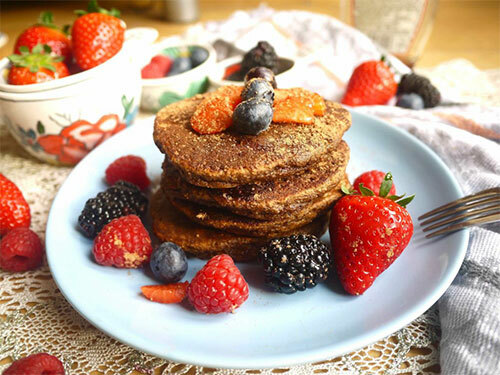 These are naturally sweet with cinnamon, bananas, and vanilla, and the blend of almond meal and coconut flour is both healthy and delicious with a perfect texture for pancakes. I love the rich texture and flavor of these coconut flour pancakes, thanks to coconut milk, almond butter, vanilla extract, cocoa or cacao powder, and coconut sugar. They’re a little sweet, a little nutty, a lot chocolaty and definitely delicious topped with strawberries and maple syrup. For mornings when you want pancakes but need them to be easy, try these fool-proof coconut flour pancakes me made with eggs, almond milk, vanilla, apple cider vinegar (helps them rise), honey, coconut flour, cinnamon, and baking soda. Fry in coconut oil. So easy! 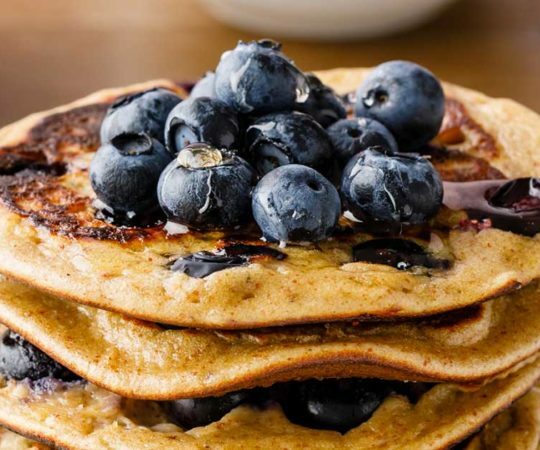 With nut butter, banana, and almond milk, these pancakes have a simple and sweet flavor that complements the wild blueberry maple syrup that’s so good you’ll want to just eat it with a spoon. And coconut flour is the only flour you need for this recipe. Made with just coconut flour, almond milk, eggs, and honey as the main ingredients (you’ll throw in some baking powder and fry in coconut oil), these pancakes couldn’t be simpler. 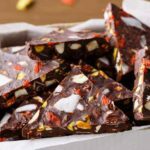 This is a recipe you can top with butter or maple syrup, or make fancier with fruits, nuts, or shredded coconut. Bright, sunny oranges are the perfect fruit for breakfast, but they’re not often combined with pancakes—the perfect breakfast food. 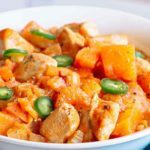 Try it in this recipe, using coconut flour, eggs, almond milk, vanilla extract, honey, shredded coconut, and orange zest. Top these coconut flour honey-vanilla pancakes with a simple berries and cream sauce, made dairy-free with a full can of coconut milk and some fresh or frozen mixed berries. 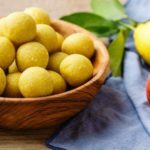 You could even twist things up by using peaches, or a single berry instead of a mix. Paleo pancakes, and coconut flour in general, can be tricky business—you need to have your measurements precise. That’s the case with this recipe, though it’s so simple than as long as you measure, you’ll be good to go. This recipe makes one large pancake that’s perfect for one breakfast. These pumpkin pancakes have more than a few ingredients, but don’t be intimidated—they’re all things you probably already have in your kitchen, and they work together to make the most amazing pumpkin pancakes with buttery vanilla flavors. 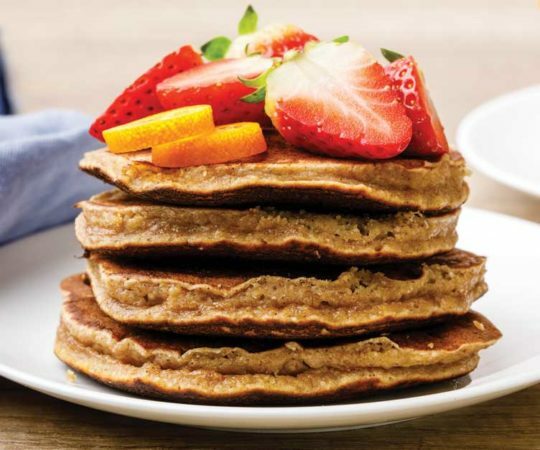 In this recipe, tapioca and coconut flours combine to make an excellent pancake texture, and flaxseed meal adds Omega-3 fatty acids along with a nutty flavor, and some binding properties. All of the ingredients in this recipe work together to make a great breakfast. 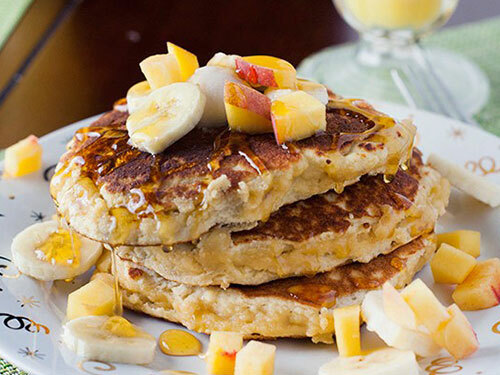 Made with a blend of protein-rich almond and coconut flours, eggs, honey, mashed banana, almond milk, coconut oil, and coconut extract, these pancakes have a fabulous tropical flavor that is perfect topped with sliced bananas, chopped peaches, and coconut butter. Make paleo pancakes that taste just like your favorite fall cake with fresh grated carrot, eggs, maple syrup, coconut milk, vanilla, arrowroot, almond and coconut flours, cinnamon, salt, and optional chopped nuts—pecans or walnuts would be the best choice. 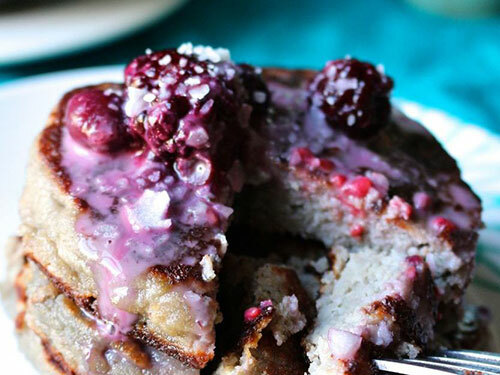 The sweetness in these berry banana pancakes comes from ripe bananas and honey or maple syrup. Use frozen mixed berries to make an easy and delicious sauce for pouring over the finished breakfast, which is naturally sweet and healthy, made from coconut flour! For a pancake that truly tastes like the best paleo banana bread ever, make this recipe—just trust me. 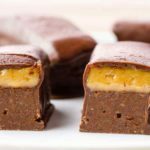 You’ll need coconut flour, cinnamon, sea salt, eggs, mashed banana, coconut oil or butter, coconut milk, vanilla extract, grass-fed gelatin, and chocolate chips or walnuts (or both!). 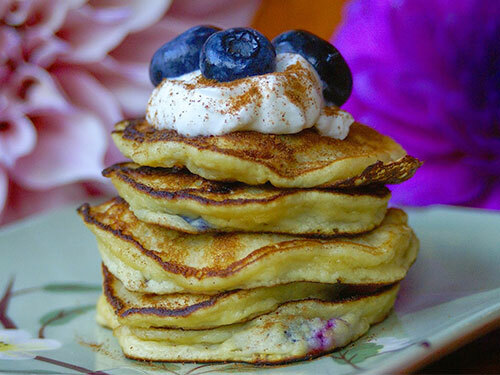 These cute little pancakes have lots of flavor from ripe banana, fresh blueberries, coconut yogurt (to replace the Greek yogurt), vanilla, and cinnamon. Make them with a coconut flour and egg base and top with pasture-raised butter or coconut oil. Why use coconut once when you can use it three times, in the form of coconut flour, full fat coconut milk, and toasted shredded coconut? Yummy! 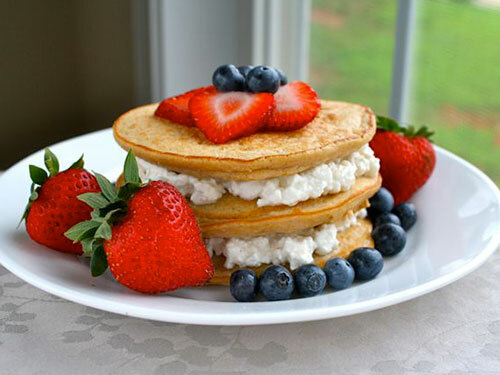 Add natural nut butter of your choice, egg whites, and baking powder, and make pancakes. Hooray! They’re awesome topped with honey and shredded coconut. These pancakes have a pb&j kind of flavor to them, with blackberries, honey or stevia, coconut flour, vanilla extract, almond milk, honey, ghee, and almond butter. You could change up the flavors if you want by trying different fruits and different nut butters. Reminiscent of the morning you were late for work and ate nothing but an Almond Joy bar for breakfast (no? just me?) 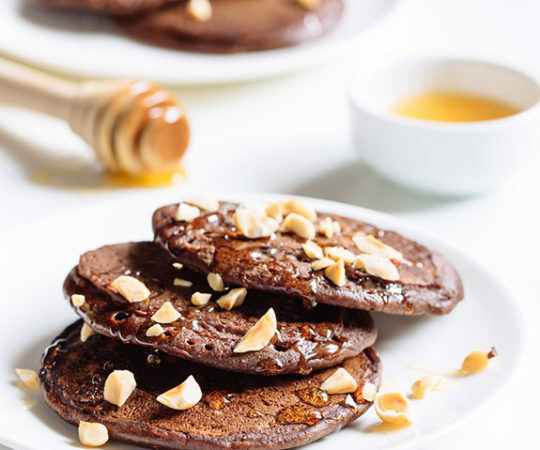 these pancakes are healthy and made with coconut flour, shredded coconut, coconut oil, almond milk, almond extract, toasted almonds, and most importantly, chocolate chunks. 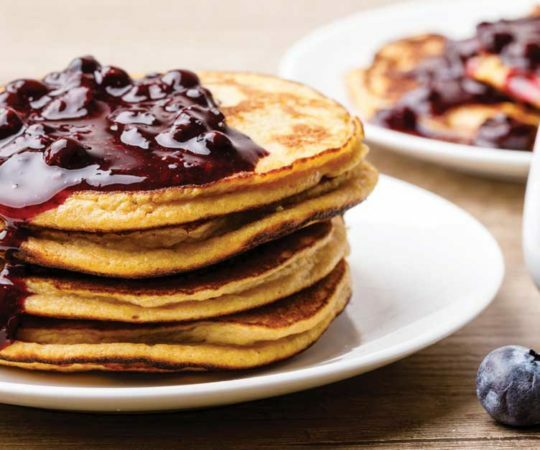 These pancakes taste a lot like peanut butter and jelly, but without the grains and refined sugar. 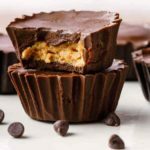 To make these recipe completely paleo, just replace the peanut butter with almond butter or another nut butter, like cashew or hazelnut. You could even use sunflower butter to make it nut-free! Cinnamon and apples are a match made in heaven, and so are pancakes with this amazing apple topping including ginger and maple syrup. The pancakes are made with coconut flour and stuffed with chopped walnuts for a breakfast experience that’s good enough to be dessert, but healthy. Dutch baby is a kind of pancake, so this recipe counts, right? Right. Make these mini Dutch babies with eggs, almond milk, vanilla, coconut and tapioca flours, maple sugar, salt, and butter. 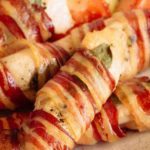 They are so tasty and easy to portion out in individual servings.